Decorative pillow – pleasure for you. 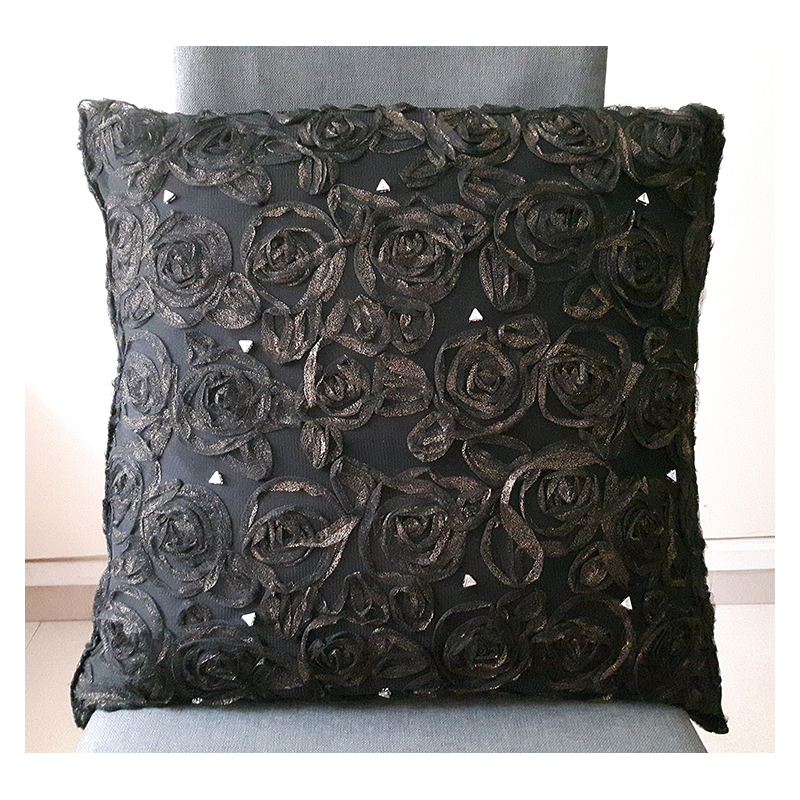 Size: 52 x 52 cm. 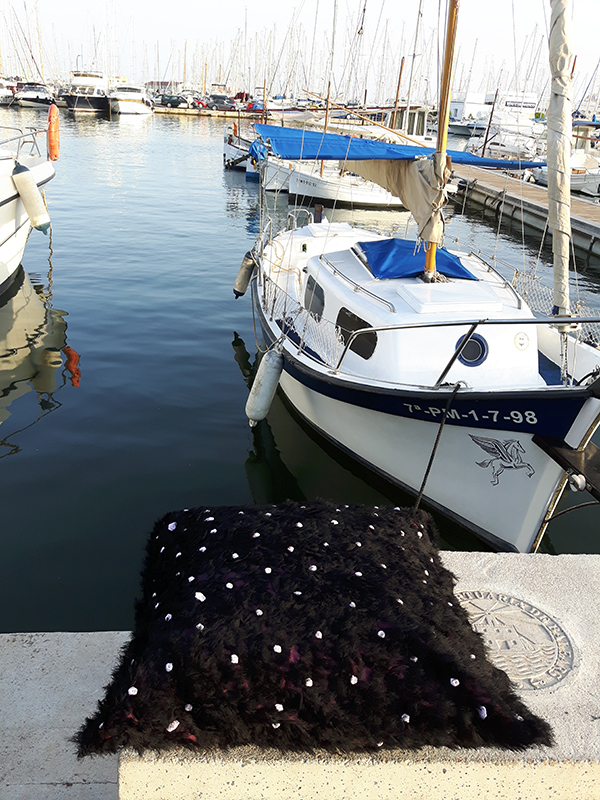 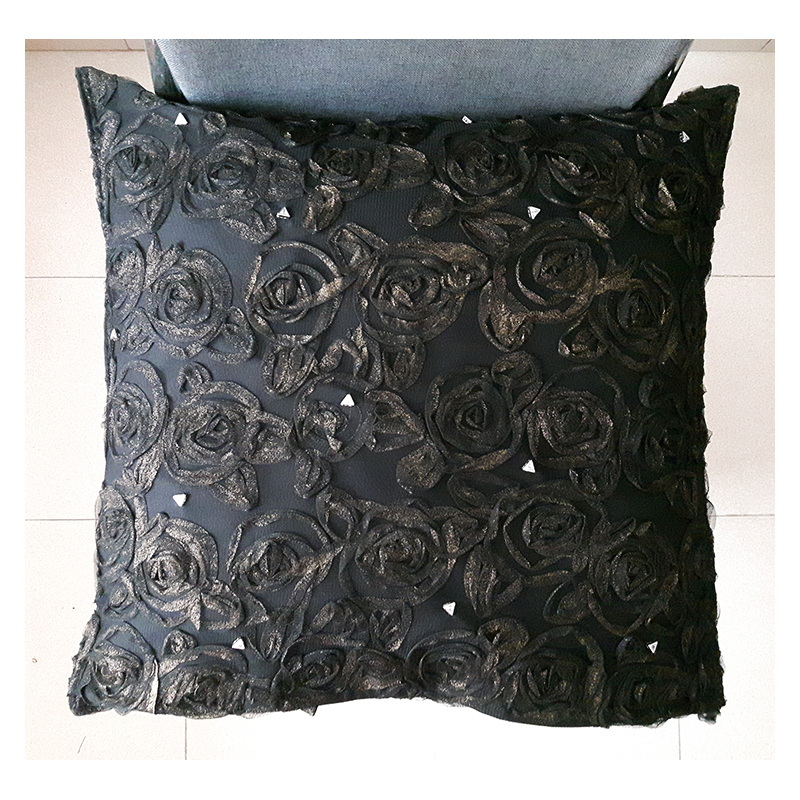 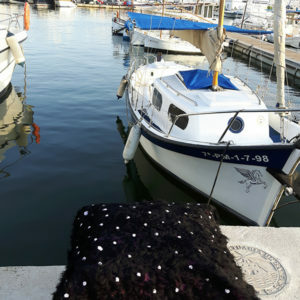 Decorative on both sides, two-layer cushion cover: Tulle, delicate stitching in stylized roses, sprinkled with gold brocade beautifully present on a black, neutral background. 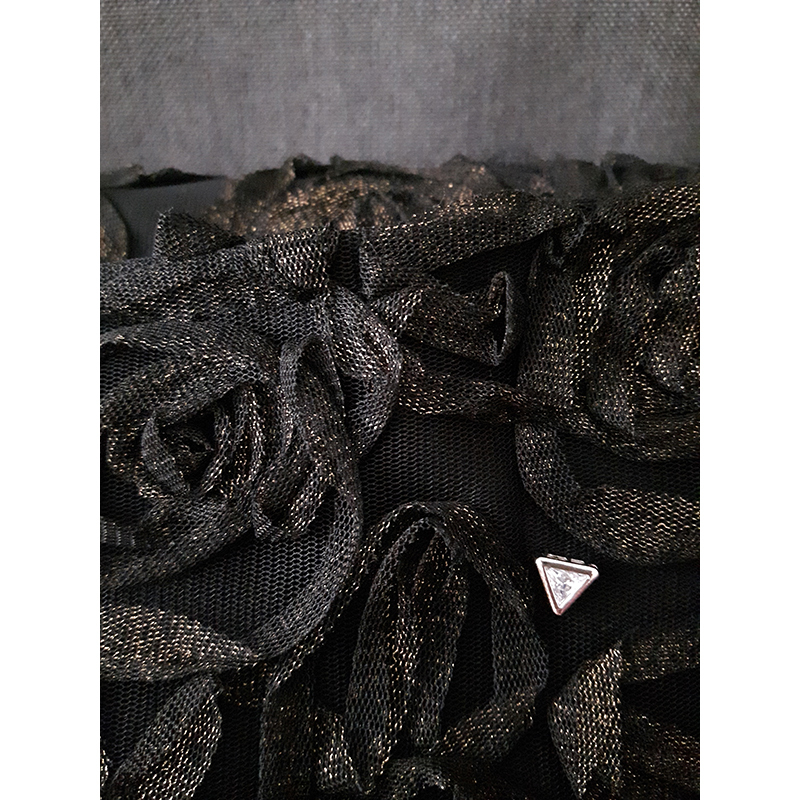 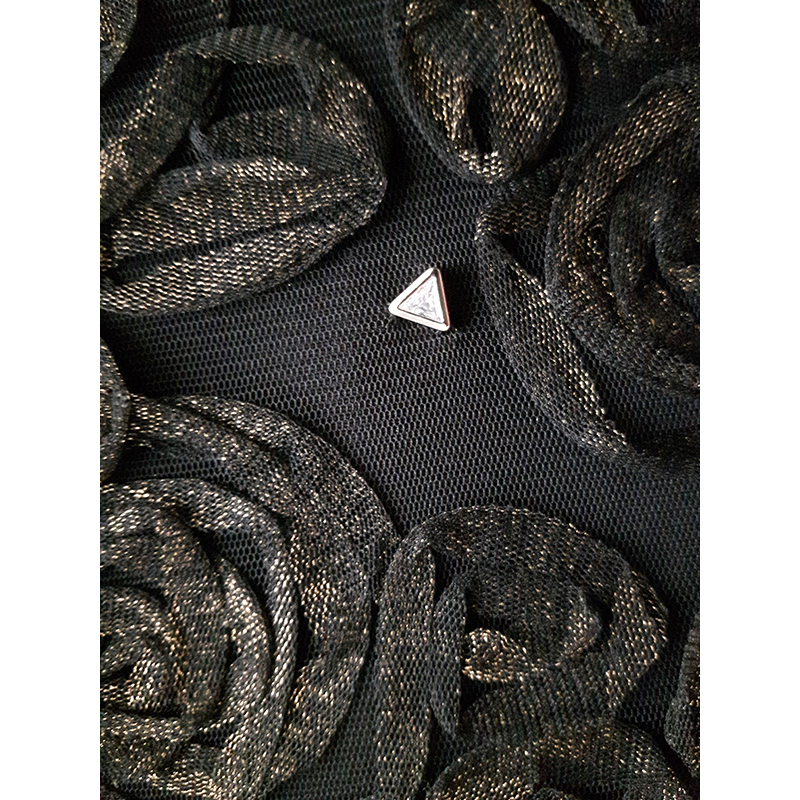 Between the roses are sewn on triangular small crystals framed in metal. 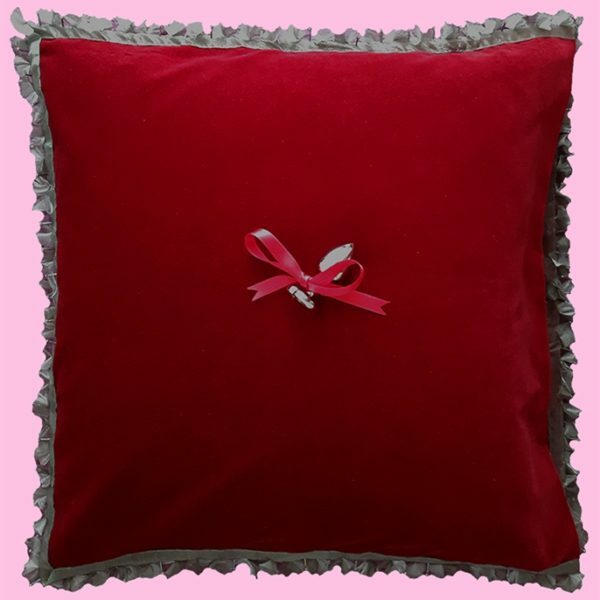 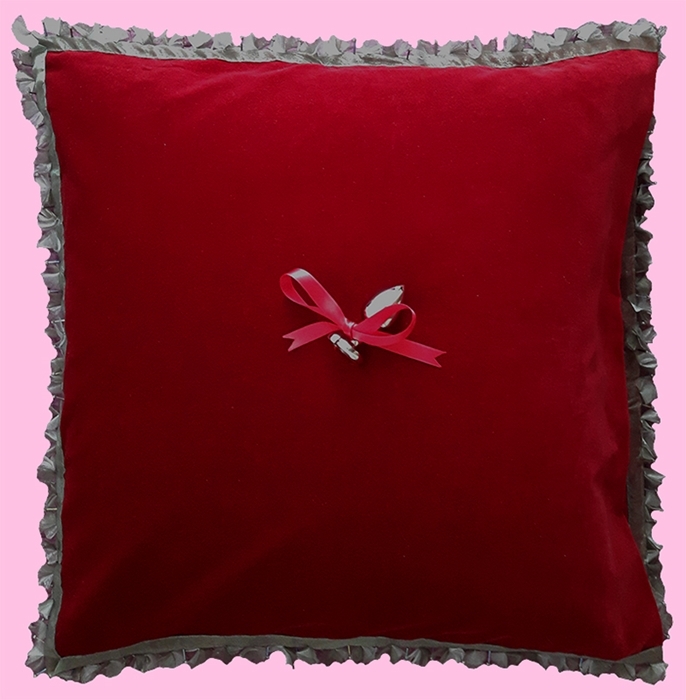 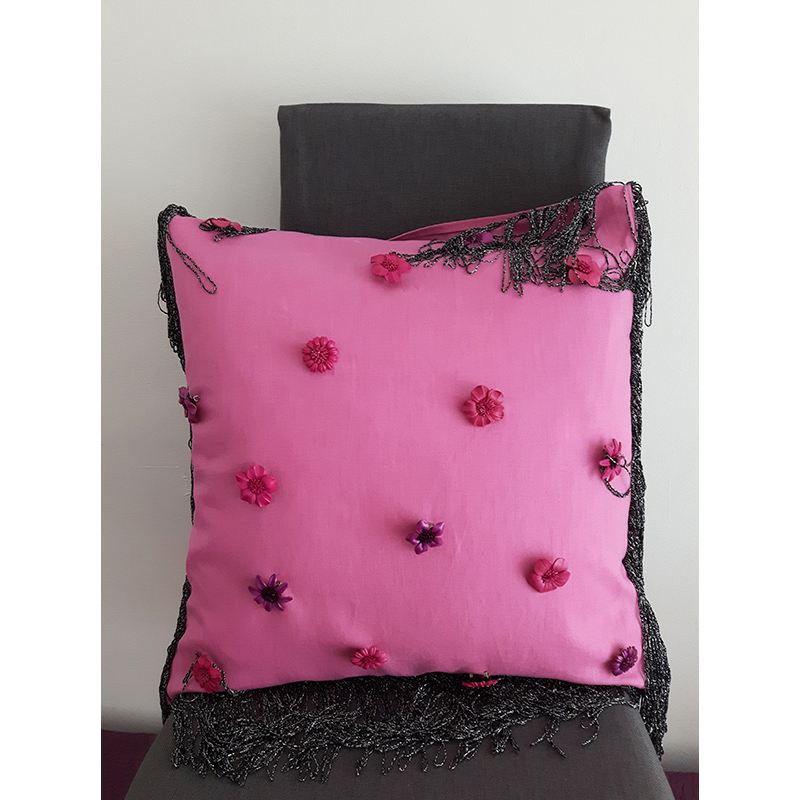 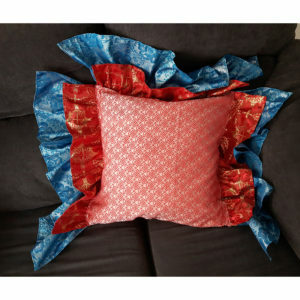 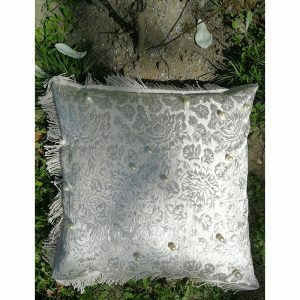 Luxurious, decorative pillowcase with tulle and crystals. 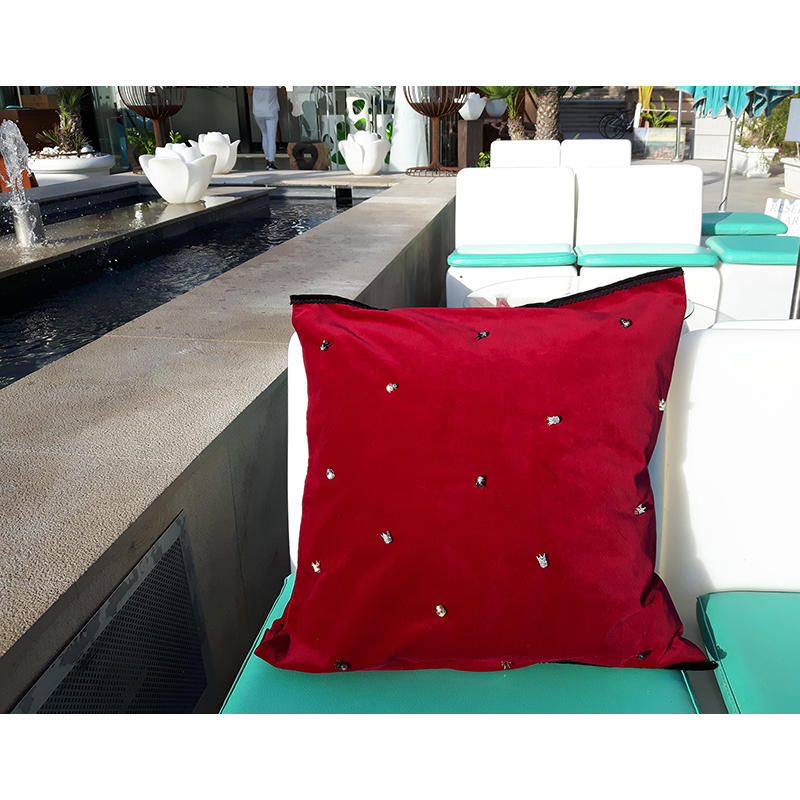 The exclusive kingdom in your interior. 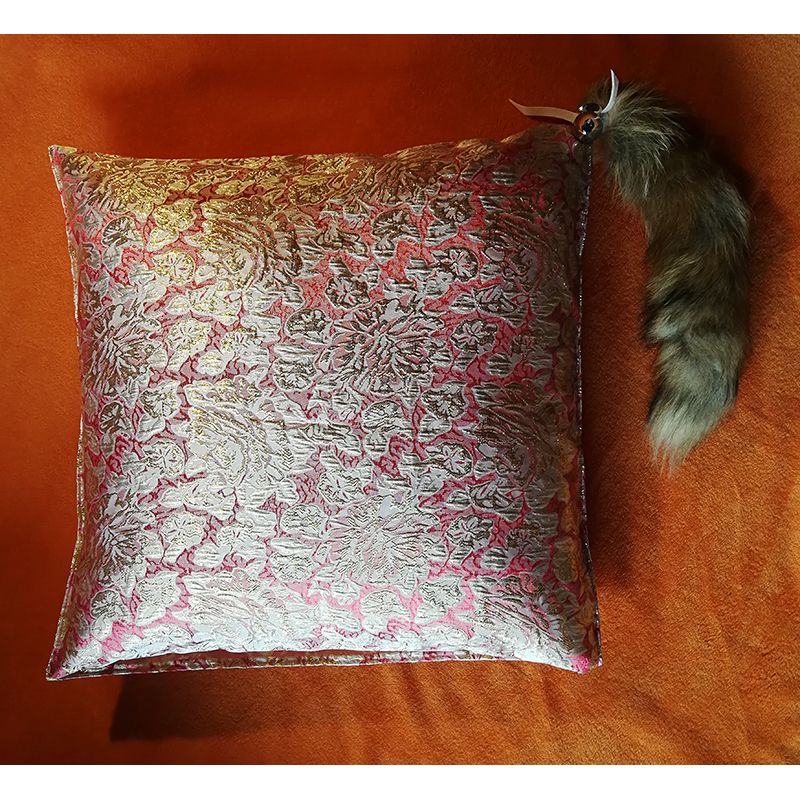 An exclusive Morning in your interior. Sophisticated taste of decoration interior. 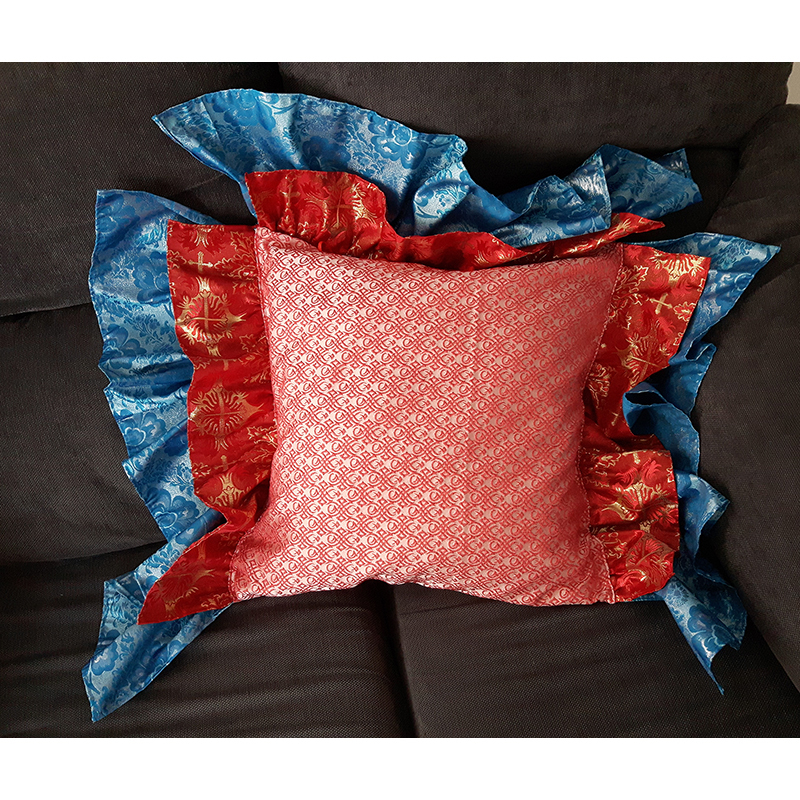 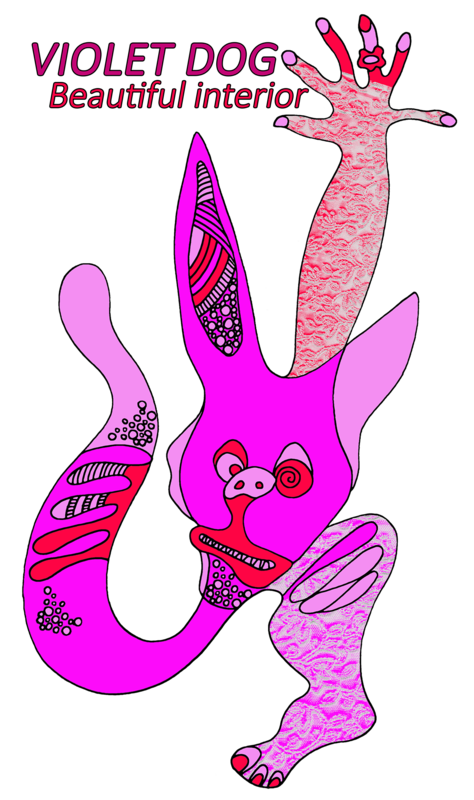 Exclusive pillowcase / unique decoration for your living room.